Shona Barr was born in 1965 in Glasgow; after graduating from the Glasgow School of Art in 1988 Shona studied abroad in Oslo & Barcelona. 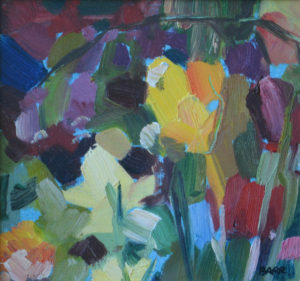 Her unfettered use of abundant colour has won her a loyal following over the years as well as numerous prizes, including the Landscape Prize and the Armour Prize for Still Life, and the Superior Prize at the “Small Paintings, Great Harmony” Winter Olympic Games Exhibition, Nakano, in Japan. 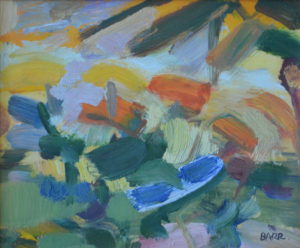 Barr’s artwork has garnered considerable critical acclaim and can be found hanging in many public, corporate and private collections around the world. Both excellent examples of the artist’s bright, energetic botanical studies. For more information on these artworks please contact us.